Let me share a story which teaches a powerful time management principle. It applies to everyone, no matter what your occupation or position in life. The story is one that a leading time management expert uses in lectures to his audiences, to drive home a point. He used a practical demonstration that those students will never forget. Commit this story to your memory… and think about it as you plan your own day, week – and life. So, here’s this expert, standing in front of an audience of high-powered over achievers. He looked at the crowd of eager, ambitious faces listening attentively to him, curious to learn about the powerful time management principle he had promised them. Then he pulled out a one-gallon, wide-mouthed mason jar and set in on a table in front of him. He then produced about a dozen fist sized rocks and carefully placed them, one at a time, into the jar. Everyone in the class said, “Yes.” You see, they hadn’t yet learned this unusual time management principle – once they had, their answers would be different! He reached under the table and pulled out a bucket of gravel. He dumped some gravel in and shook the jar, causing pieces of gravel to work themselves down into the spaces between the big rocks. By this time the class was onto him. “Good!” answered the expert. And again he reached under the table and brought out a bucket of sand. What are the big rocks in your life? The important tasks that lead you closer to your biggest goals, the WHAT of your life. This may vary in specifics. It may be a project that you want to accomplish. Or more time with your loved ones. Time spent pursuing your faith, or your education. Maybe supporting a worthy cause. Teaching or mentoring others. You’ll learn more about this when you sign up for the free “Time Taozine” email newsletter. Maybe time management is not a cutting edge, hot, ‘in the news’ subject. Breakthrough technology or newly discovered psychological tactics may not festoon the specialty. Yet, studying time management is important – because even when you read the same book, or listen to the same tapes or CDs, or review the same seminar notes or recordings, you’ll learn something new from it. And since most time management guides have content that is applicable to your needs only when you reach a certain level of optimization of your work process, this new knowledge will help you break new ground – and get better. That’s a reason why students in school and college must focus on studying time management. On your bookshelf, you should have different books, recordings, workbooks and more about optimizing your time. That’s the only way to get more done in a day than you used to handle in a week. There’s always room for improvement. And you should be constantly learning. When you study time management, you’ll learn several new skills, tips and techniques about saving time or improving efficiency. Often, on your to-do list, there are some things you can do very quickly, and others that you struggle with. When you study time management, you’ll learn strategic approaches and realize how it may be smart to “swap” time with those who have the opposite problem. You’ll understand how it takes them time to do what you do quickly, but it also takes them less time to do the things you do slowly. Many will say this is just outsourcing. But its not. It is more about using your time wisely on the things you do well and quickly for yourself as well as for others, while also benefiting from them using their time wisely doing the things they do quickly. This way you both get things done faster and at the same time do the things you enjoy and do well. The Ming Vase Time Management guides go deeper into some elements of managing time and serve as good references for people looking to study time management. You can also receive tips and advice about managing time from a free email newsletter – the “Time Taozine”. To sign up, register using the form below. Want some time management hints you can cash in immediately? Ok. I’ll share a few with you. Here’s the first. Stop planning for a day. Many time management guides teach you how to plan out your day. And surely you know of some amazing folks who plan for a day in great detail. Personally, I’ve never been able to. Part of the reason is that my professional schedule is unpredictable. Without the luxury of a fixed and regulated lifestyle, daily planning is bound to become a frustrating and inefficient waste. That’s why one of the most practical time management hints is to keep a longer range in mind while making plans. Most of us do not like being tied down to too rigid a structure – even if following such a strict time-table will be beneficial. This is a mind-set many entrepreneurs share. That’s the reason why we look for time management hints to help us enjoy our desired lifestyle without losing track of our goals or getting distracted off our course. So, how can you manage and plan your time? It still helps to chalk out broad plans for things that you would like to get done each day. But more important are the mini-goals that you break down your big ones into. If writing a book is your big goal, your smaller milestones will be outlining the chapters, conducting the research, and writing individual chapters (or even smaller sections) of it. Those mini-goals are then prioritized, so the most important ones get done first, followed by the less important ones. A fringe benefit of having an irregular, uncertain schedule is that there is an in-built sense of urgency. 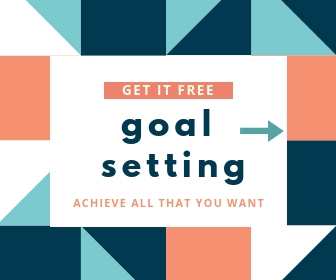 If you have a goal to reach – but am not sure when you might be disturbed – it serves as an agent of focus, and will help you concentrate all your attention on the task at hand, until it gets done. But remember that it’s not all about projects and work, no… these time management hints involve family and social life too. ‘Do it today’ is a watchword that helps a lot in maximizing your here and now. Want more? Fine. Here’s another hint that’ll save you time and improve your efficiency. Build flexibility into your to-do list. Divide your working day into sections. This allows you to take steps towards achieving your goals, and gives you room for unexpected opportunities that require quick action. If your master plan requires you to take action in four areas, break your day into four sections. In each section, list individual task(s) you need to complete. Take one step in each section toward your goals. In case something comes up that needs immediate attention, you can reschedule your other planned tasks to take advantage of the new opportunity. You’ll still have your section completed for that day. Simple – but very effective. There are many more time management hints scattered around this website. Take a look around and you’ll pick up many nuggets. You can also sign up (see below) to the free “Time Taozine” where you’ll receive simple but effective ideas to manage your time wisely and well.